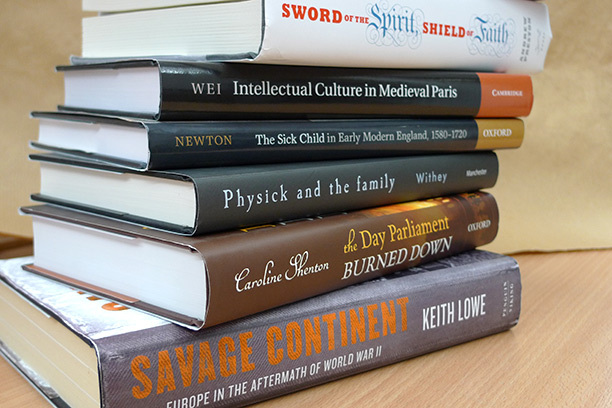 The shortlist for the Longman/History Today Book Prize 2013 is announced today. The award is given for an author’s first or second work of history published between October 2011 and September 2012. The winning book will have contributed significantly to making its subject accessible and rewarding to the general reader of history. The judges this year are: Jeremy Black, Professor of History at the University of Exeter; Juliet Gardiner, author of The Thirties: An Intimate History of Britain (HarperPress); Paul Lay, Editor of History Today; and Miri Rubin, Professor of Early Modern History at Queen Mary, University of London. The winner will be announced on January 9th, 2013 at the Royal Society, London. Keith Lowe, Savage Continent: Europe in the Aftermath of World War II (Penguin/Viking). Bill Schwarz, Memories of Empire. Vol. I The White Man’s World (Oxford University Press). Alun Withey, Physick and the Family: Health, Medicine and Care in Wales, 1600-1750 (Manchester University Press).